SAN NARCISO, Calif. (Bennington Vale Evening Transcript) -- Liberal America awoke Tuesday morning hungry for another political assault against Donald Trump and his family. They found the seeds of their vitriol in a simple and misunderstood tweet from the presidential candidate’s eldest son. This latest social media uproar not only underscores the progressive rank-and-file’s disdain for Trump, which they long to distill across the more reasonable corners of the nation, it also illustrates how misguided their attacks have become. Trump Jr.’s post read: “If I had a bowl of skittles and I told you just three would kill you, would you take a handful? That’s our Syrian refugee problem.” Enraged pundits and Democrats decried the comparison between immigrants and sweets. Refugees are people, they roared, and Skittles are candy. But Trump seems to grasp a deeper truth than his critics will acknowledge. Skittles has a storied history of violence. Its roots reach deep into the Mars empire’s shadowy cabal, with undeniable intimations of terrorism. “Skittles are candy. Refugees are people,” stated Denise Young, vice-president of corporate affairs for Wrigley America, the division of Mars Inc. that controls the brand. Ms. Young’s public relations subterfuge and message maneuvering aside, offended members of the public have yet to answer the question. Would any person, regardless of political persuasion or party affiliation, honestly reach for a handful of potentially poisoned confections? Aren’t these immigration sympathizers the same lot who abandoned their beloved Chipotle restaurants after the media discovered tainted ingredients in the meals at isolated locations? Yes. An analogous principle applies, and it’s nothing short of hypocritical to excuse a fruity treat but not a burrito. The fact is, Skittles presents hazards few have considered. 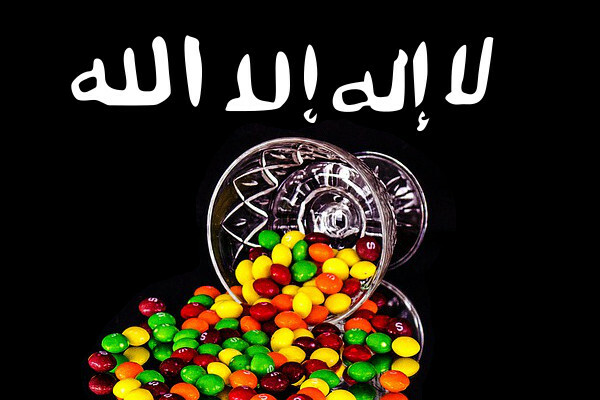 According to the U.S. National Safety Council, Cato Institute, Americans face a significantly greater risk each year of suffocating on Skittles than perishing at the hands of refugee insurgents. U.S. citizens have a 1 in 3,408 chance of choking to death on food. Their odds of being killed in a terror attack? Just 1 in 3,640,000,000. Another overlooked flaw in the “people-not-candy” argument comes from the 2010 landmark Supreme Court decision in Citizens United v. Federal Election Commission. The majority of justices ruled that corporations are persons, entitled by the U.S. Constitution to fund elections and intervene directly in the functioning of our government. Mars Inc., which ultimately oversees production of Skittles, is a large corporation. Legally, Mars is recognized by the highest law of the land as a person. So if this entity sires Skittles, it effectively becomes this ware’s creator. Skittles therefore transcends its state as food or merchandise. Being the offspring of the person Mars, Skittles exists as its child. A person. A person capable of killing with more precision and menace than hostile refugees. In 2012, the fatal shooting of an unarmed Florida teen named Trayvon Martin by George Zimmerman, a then 28-year-old neighborhood watch volunteer, sparked national uproar and accusations of racism. Martin, 17, was heading home from a convenience store on February 26 when Zimmerman followed and then confronted him. Zimmerman was armed with a 9-millimeter pistol. Martin was armed with a bag of Skittles. Zimmerman claimed he gunned down Martin in self-defense. After studying hours of surreal Skittles commercials on YouTube, Zimmerman learned that the candies contained magical properties, which allowed them to suspend children from rainbows, turn a man’s feet to candy and bestow Midas-like gifts upon a middle-aged office worker. But, Zimmerman realized, the wishes granted by Skittles always came at a deadly price. According to Zimmerman, these images haunted him for years. After finding Trayvon Martin lurking suspiciously through the neighborhood -- clutching a packet of Skittles and obscuring his face with a hood -- Zimmerman naturally feared for his life. And the law agreed. Because the court pronounced Zimmerman not guilty, it acknowledged the very real and precarious threat of Skittles. It set a case precedent. By legal standards, the snack food goes down on the books as an insidious and dangerous weapon -- a ticking time bomb that Trump knows we should fear. 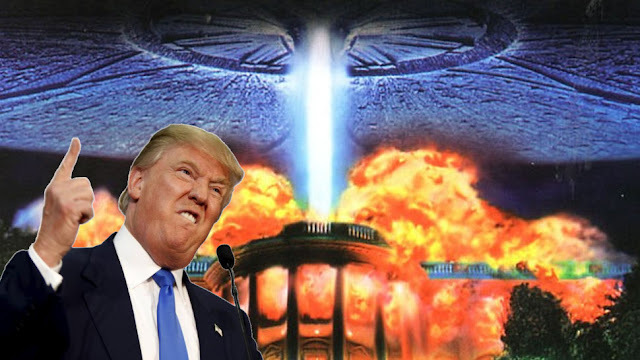 Instead of mocking the White House hopeful, Americans should heed his warnings. Mars Inc. reigns as the king of candy. The company’s brands rank among the most iconic and cherished by consumers. Since its founding in 1922, however, Mars has operated within a virtual cone of silence, which analysts compare to the CIA’s covert inner sanctum. Requests for information historically languish without response. Throughout the Mars’ legacy, family members have routinely shunned reporters and evaded photographers. What are the people of Mars hiding? An infrastructure as alien to American values as creatures from the Red Planet itself. Let us not forget that while Mars may have its physical foundations on national soil, its ventures abroad raise suspicion. Following the turn of the twentieth century, for example, Forrest Mars, the founder’s son and heir, suddenly relocated to Canada -- at the age of six, to live with his grandparents. This move would come to signal a growing infatuation with swarthy cultures abroad. Spain, torn asunder by bloody civil war, provided Forrest with the inspiration for his most famous invention, M&Ms. Today, Spain has transitively given us our biggest population problem, Mexican Migrants -- a less savory kind of M&Ms. After World War II, Forrest proceeded to open plants in France and Germany, areas we now see riddled with ISIS bombings, terror attacks and an unquenchable influx of Syrian immigrants. A few years ago, exhausted over their battles with the press, representatives from this mysterious food industry juggernaut shed their anonymity and revealed a system of business practices that should shock free market evangelists. Mars views rank and bureaucracy as anathema. Regardless of status or position, every worker gets his own coffee, makes her own calls, labors without private office space, flies coach and speaks directly with subordinates. No memos, no emails. First-name basis conversations. Hours-long daily meetings and conference calls are foreign concepts at Mars. It is a humiliating, disgraceful and disrespectful business culture that treats everyone the same, despite titles and accomplishments. Karl Marx would weep tears of pride for the communist doctrines championed by the progenitors of Skittles. Though compensation varies, as it should, Mars ties wages to overall company performance. If sales boom, employees may earn bonuses of up to 15 weeks’ salary. If sales shrink, earning potential reduces in turn -- even among the vaunted leaders who occupy the c-suite. While this tactic may inspire the grunts on the frontlines, it prohibits executives from seizing the 500-percent bonuses they should expect for overseeing the blue-class rabble. Whatever truth stalks the shady recesses of the Mars family basement, Trump was right to call out their secrecy, their dangerous candy and their strange Willy Wonka-like compulsion to forego financial gain for seclusion and socialist behaviors. Thriving Wall Street giants understand that repurchasing their own shares drives the value of the company’s stock -- and its worth. Mars reinvests the lion’s share of its profits back into developing its workforce, strengthening its brands and enhancing its terrifying products. It insists on preserving its privately held status, which means the company has no interest in contributing to or bolstering the economy. In fact, given the sordid history of Skittles, Mars appears more intent on destroying American lives. So to answer the query: would I eat a handful of Skittles knowing that three in the bowl are toxic? Hell no. Understanding the menace of the candy, I would sooner lick a cookie made out of soiled diapers and monkey vomit. F. Chester Greene is a prominent local businessman, Republican Party leader, community leader, NRA member and 2016 write-in presidential candidate.